Traditional fun family game of throwing the bean bags to knock down the cans. Cans are baked bean size. 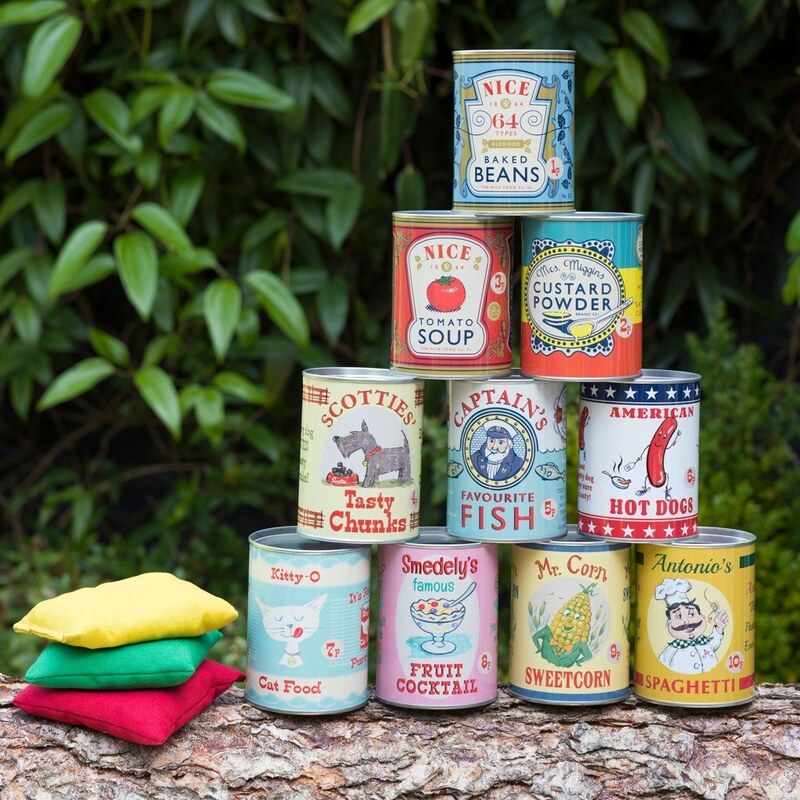 Twenty reproduction vintage style tin cans (enough to make two stacks). 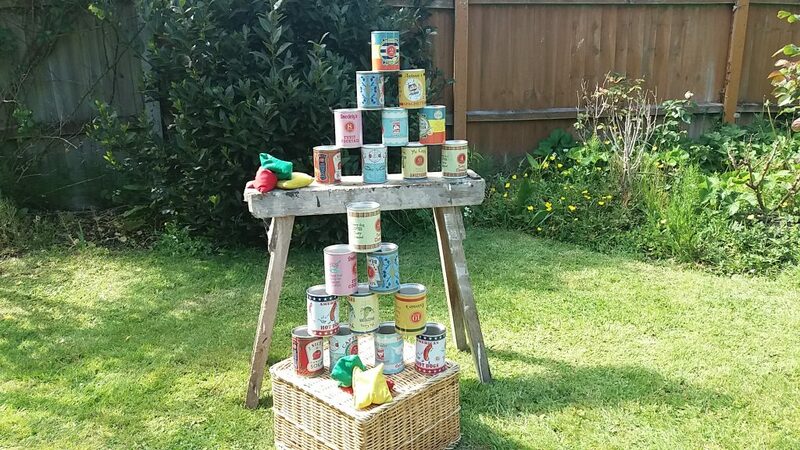 Ideally cans should be stacked in two sets on a table or garden bench. See photo below (does not include wooden stand).